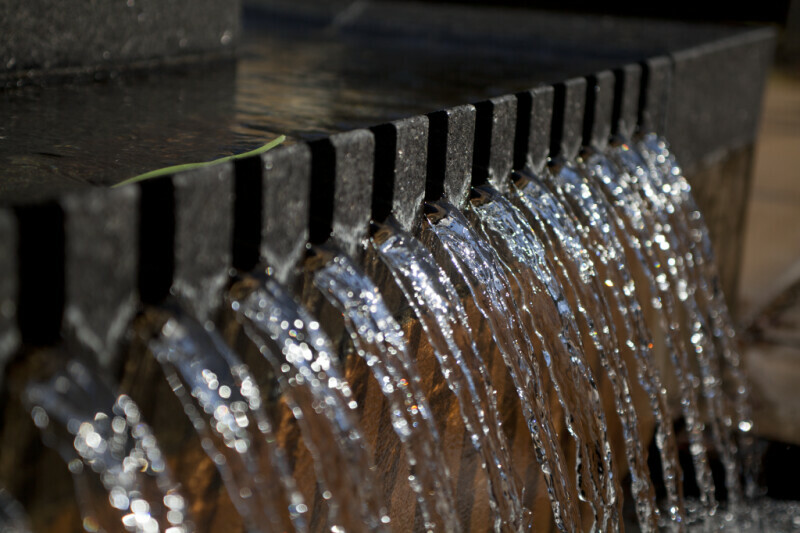 This water feature, entitled “The Stream of American History,” is part of the Corinth Civil War Interpretive Center. The water feature uses symbolism to represent the history of the United States, in relationship to the Civil War. These weirs are part of the 1790 wall, at the rear of the Liberty Pool. The 1790 wall symbolizes the year that the last of the original thirteen colonies ratified the Constitution. In this photograph, there is a blade of grass caught behind the weirs.